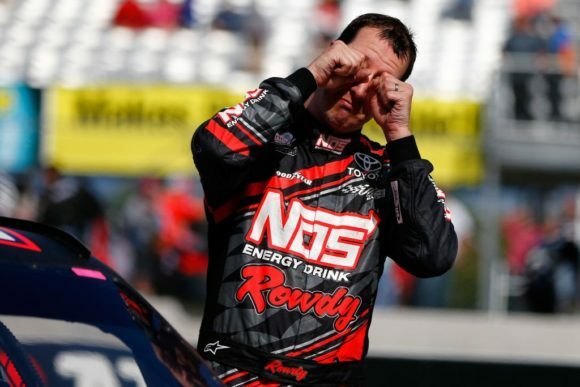 The fashionable thing to do among many NASCAR fans is to show displeasure whenever Kyle Busch does anything that could be construed as controversial or inciteful. Few if any drivers arouse more boos during pre-race introductions or during post-race victory celebrations. He, quite simply, is the racer many fans love to hate. But there is a great deal of irony in all the dislike directed toward the younger of the Busch brothers. Many fans claim they want drivers to show more personality, to not be so robotic in their interviews and actions, and to allow their emotions to show through the trained personas they have been coached to show in public. 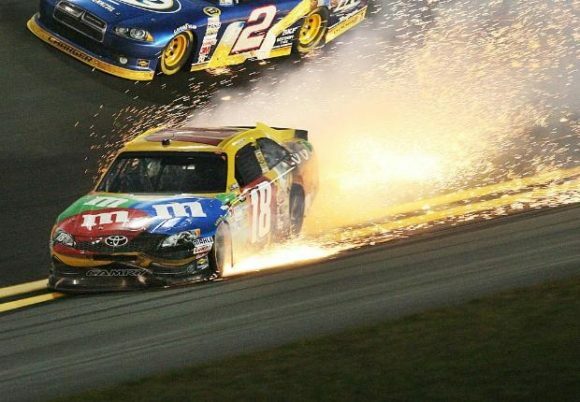 However, when drivers such as Busch do those very things, they are often rewarded with disdain from those same fans. Instead of hate … appreciate. 1. He is an incredible talent– Very few drivers have demonstrated the ability to handle a race car like the 33-year-old wheelman of the No. 18 Toyota. And that isn’t just in comparison to those who drive now, but over the course of all NASCAR history. Whether it be executing a ridiculous save, steering through a massive wreck unscathed, or just getting an ill-handling race car through a run until the next pit stop, few can match Busch’s talent. Seriously, based on talent alone, who would you pick to drive your car if you owned a team for just one season? 2. He gives back to the sport– Virtually all NASCAR drivers give their time and money to worthwhile causes. But that’s not what this statement is about. Busch is one among several NASCAR stars who invest in the ‘grassroots’ side of the sport of auto racing. 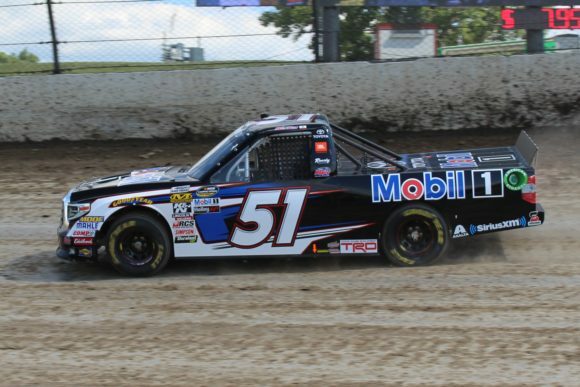 Kyle Busch Motorsports offers rides to drivers in the Gander Outdoors Truck Series along with Late Models in numerous short-track events. While many criticize the Las Vegas native for competing in “lower series” races, the fact is that a number of racers have benefited from being seated in a KBM ride. As a follower of short-track racing, I appreciate the fact that NASCAR heroes such as Busch, Clint Bowyer, Tony Stewart, Kasey Kahne, and Ricky Stenhouse, Jr. give back to that form of motorsports through team ownership, track ownership, and promotion. 3. He isn’t worried about being politically correct– Somewhere during the late 1990’s and early 2000’s drivers in NASCAR seemed to lose the ability to give answers that weren’t rehearsed and/or coached. Since then, it is often easy to predict the response about to be spoken into a microphone by the vast majority of drivers following a win, a loss, a crash, or a mechanical failure. With the 2015 Monster Energy NASCAR Cup Series champion that is typically not the case. Busch often says what comes to mind in the heat of the moment. If NASCAR needs to be admonished, he isn’t afraid to do so. If his pit crew fails in a crucial situation, he says so. If another competitor makes an errant move, Busch calls him/her out. And for that matter, he often even calls himself out when he bounces off a wall or bobbles while making a move. If it’s scripted answers you want, you will not often get them from this driver. 4. He wants to win– Yes, every driver wants to win. But few have demonstrated the burning desire to finish first as has this Joe Gibbs Racing driver. He actually appears to be upset when he loses where others seem far less affected by failure. Everyone loves to win. But the greats in any sport hate to lose even more. 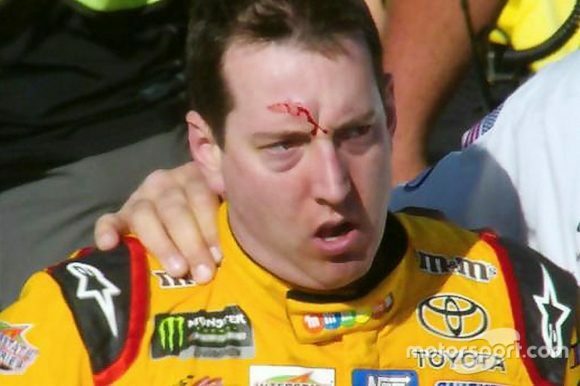 The phase “Good points day” will rarely be heard from Kyle Busch. 5. He keeps things entertaining– One thing that can definitely be said about “Rowdy” is that he keeps things interesting. Sometimes he storms away from his car causing reporters and cameramen to pursue him down pit road or through the garage area. Sometimes he charges toward another racer to engage in a “conversation” about what just occurred on the racing surface. And sometimes he looks to the camera to mock those who are booing by offering a fake crying motion. Busch frequently provides something to talk about before, during, and after the races. NASCAR’s television ratings and grandstand attendance have been going steadily down over the past decade. The sport needs more entertaining characters and headline makers, not less. Obviously, it’s up to each fan to determine who he or she roots for and roots against. And if you don’t like a guy’s personality and want to root against him because of that, then that’s your prerogative. 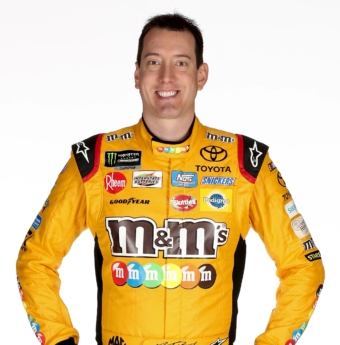 But at least consider appreciating what Kyle Busch brings to the sport of racing.